Dr Beeching made it look easy, but in fact closing a railway line or station is a long and involved procedure. First, a closure notice has to be posted at the affected stations. Then a consultation period takes place where members of the public can lodge their objections. It then falls to the Department for Transport to consider those objections and give the final go-ahead for closure. All things considered, it’s a tedious and expensive process, and one which train operators prefer to avoid. While it is difficult for a train service to be withdrawn entirely, there are dozens of lines where the service has been run down to the bare minimum required to avoid the closure procedure. They are often called “Parliamentary trains” in reference to the 19th century laws which required railway companies to operate a minimum level of service (although this term now has no official standing, as far as I can see). 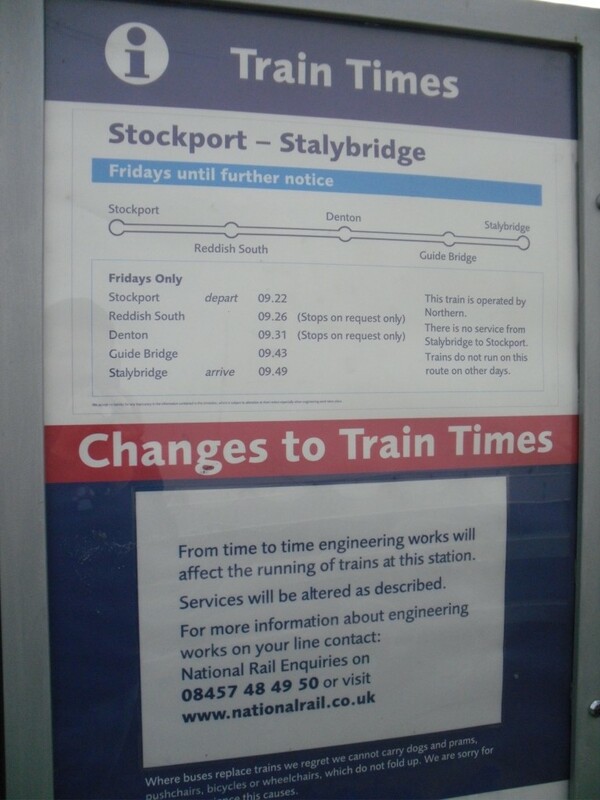 Most of these lines are short stretches of track or junctions which go unnoticed in the grand scheme of things, but the Stockport to Stalybridge service is different. 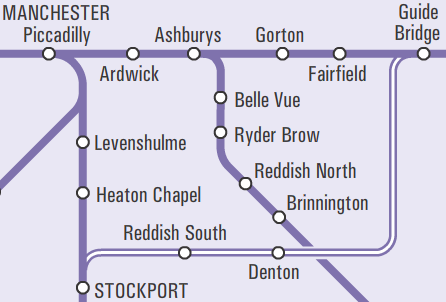 This route, running through the outskirts of Manchester, receives a bare minimum service of one train a week, which runs in one direction only. 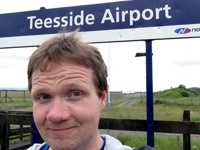 At two of the stations on the route – Reddish South and Denton – this is the only passenger train they see.